The Jeremy Scott SS17 collection at New York Fashion Week brought vibrant hues, big hair, and fearless prints to the runway this fall. If you love to rock a splash of color in the hotter months, Jeremy Scott has tons of outfits you can pull inspiration from. Here’re some ideas for your very own Jeremy Scott look, and every one is priced under $50. We love the color and the Native American-inspired print on this dress. The thin straps make it the perfect addition to a summer wardrobe. And the length, right above the knee, is just right for any daytime occasion. Grab a pair of sneakers or low sandals and you’re ready to go! Or, add in your favorite simple necklace before you head out; it’ll stand out against that scoop neckline. If you wear this number into the evening and it gets a little chilly, slip on a blazer or cardigan over the top. The biggest surprise with this jumpsuit is that it glows in the dark. What better way to get a party started than a deep plunging neckline, paired with a glow-in-the-dark, heart-covered garment? OK, so maybe most of us won’t wear this piece out and about on the regular. But how about slipping this on as fun pajamas or loungewear? It is, after all, form fitting and mostly polyester. This piece would also be perfect for a themed party, or when you need an over-the-top club outfit. 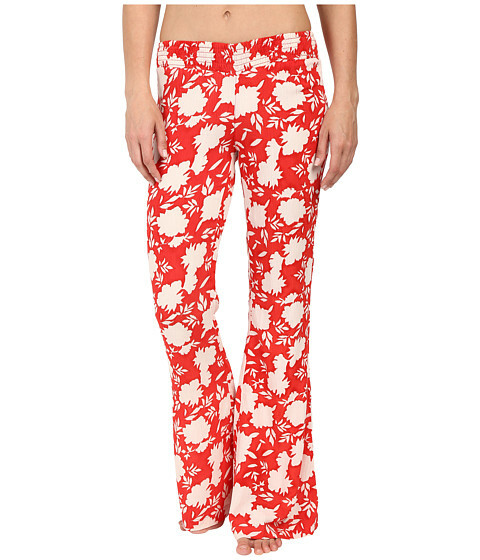 We love these pants because of the bright color and the relaxed fit. They are ideal for wearing as a swimsuit cover-up, or wear them casually with a white shirt. The elastic waistband is so, so convenient and the relaxed fit through the legs allows for air circulation to keep you cool. Wear these with sneakers or a flat, thonged sandal. This belted midi dress is made with light fabric and impeccable detail. You get the tie to show off your small waist, and sleeves to keep you protected from sun and wind.. If you want to stand out at a party, this dress will do the trick. Dress it up with black pumps and a light jacket on top when the wind blows. If you like neons and bold prints, there are many ways to incorporate them into an everyday outfit. What’s your favorite outfit from above? Let us know!